Cold pressed Lemon Essential Oil is phototoxic. Refer to the safety information mentioned below. Steam distilled Lemon Oil is also commercially available. Aroma is similar to fresh lemon rinds except richer and more concentrated. Source: Julia Lawless, The Encyclopedia of Essential Oils (Updated Edition) (London: Harper Thorsons, 2014), 123-24. Source: B.M. Lawrence, Essential Oils 1988-1991 (Wheaton: Allured Publishing, 1993), 61-69. B.M. 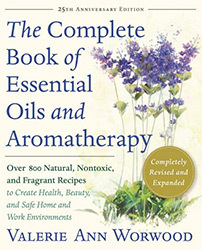 Lawrence, Essential Oils 1988-1991 (Wheaton: Allured Publishing, 1995), 1-4, 158-162. B.M. Lawrence, Progress in Essential Oils. (Perfumer & Flavorist 21 no. 1, 1996), 41-45. B.M. Lawrence, Progress in Essential Oils. (Perfumer & Flavorist 27 no. 2, 2002), 62-88. Sources cited in Robert Tisserand and Rodney Young, Essential Oil Safety (Second Edition. United Kingdom: Churchill Livingstone Elsevier, 2014), 331-332. Source: B.M. Lawrence, Essential Oils 1988-1991 (Wheaton: Allured Publishing, 1993), 62. Source cited in Robert Tisserand and Rodney Young, Essential Oil Safety (Second Edition. United Kingdom: Churchill Livingstone Elsevier, 2014), 330-331.